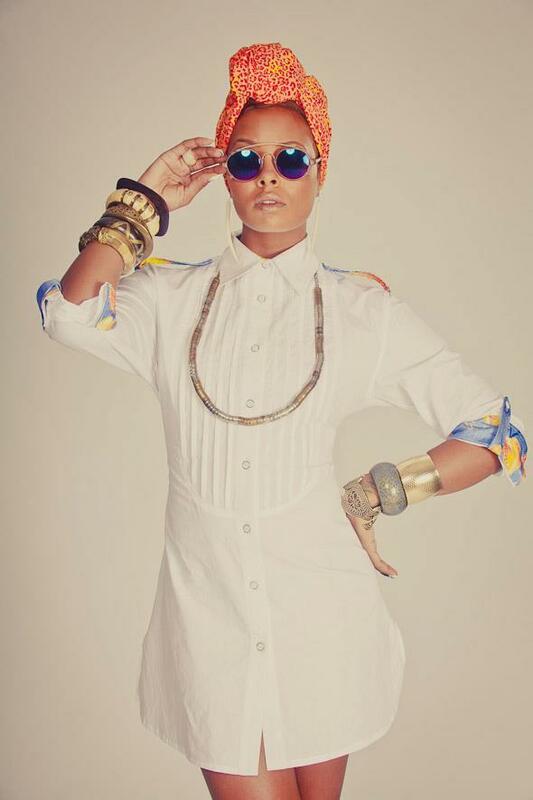 Koshie O. is a design label with an African inspired aesthetic and a modern fashion story. This label has been in production since 2010 and has already had notable personalities that have worn the brand. For more on the Koshie O. brand follow this link. 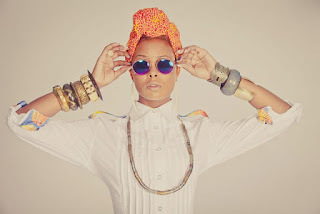 Today's post is about the recent collaboration of the Koshie O. brand and Eva Marcille. Eva was pegged to co-design with Koshie O. and a few images from the editorial shoot are posted here. I think that the button up top shown above is designed for a nice fit, I love the colors, the print and I love the different ways that it can be worn. Koshie O. also collaborated with R&B singer Mya and Destiny's Child member Michelle Williams to create a complete collection that includes designs from all three of the ladies. Click here to see the Genesis Collection for Koshie O.
Evan and Mya look gorgeous in their designs. Kudos to the Koshie O. brand, what do you think Notable Stylers? Designer: Eva Marcille / Koshie O.